Does HandBrake Support NVENC? How to Use NVENC Encoder? 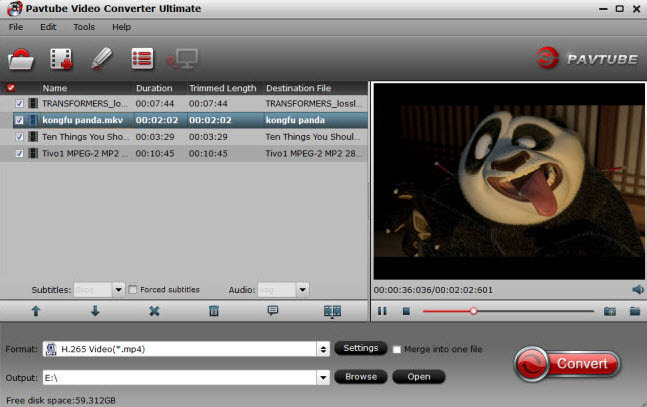 HandBrake is a free and open-source transcoder for digital video files, originally developed in 2003 by Eric Petit to make ripping a film from a DVD to a data storage device easier. Since then, it has undergone many changes and revisions. To response users’ needs and improve users’ experience, Handbrake developer team overcomes every potential difficulty and eventually successfully makes Handbrake support Intel QSV hardware acceleration to speed up video (esp. 4K UHD video) processing to a certain extent. It does work, but the result doesn’t meet people’s demands actually, especially, when it comes to transocde 4k video in HEVC codec. Therefore, Handbrake users always wonder if handbrake supports Nvidia NVENC GPU hardware encoding tech. In fact, the result will make you disappointed, there is still high likelihood that Handbrake might absorb Nvidia NVENC in the near future to further accelerate Ultra HD video processing speed but not now. You have better to get a Handbrake alternative with NVENC GPU hardware encoding tech supported to convert video (H264/H265) at faster speed if speed is the one you care about most. We will recommend a simple to use program – Pavtube Video Converter Ultimate which provides the best quality. The program has perfect support for H.265 encoding acceleration on a PC that runs Nvidia GeForce Graphic cards. With the program, you can comprehensively encode H.265 MP4/MKV codec from virtually any digital file formats and also commercial Blu-ray/DVD disc. Apart from encoding H.265, you can also use the program to transcode H.265 to H.264 or other popular digital file formats for smooth playback on smartphones, tablets, HD TVs or other devices or programs that lacks the ability to handle H.265/HEVC format. Step 1: Import video or load Blu-ray/DVD disc into the program. Start the program on your computer, click "File" > "Add Video/Audio" to import digital file formats into the program, for load Blu-ray or DVD disc, insert your DVD disc into your computer’s optical drive and your Blu-ray disc into an external Blu-ray drive, click "File" > "Load from Disc" to load Blu-ray/DVD disc into the program. 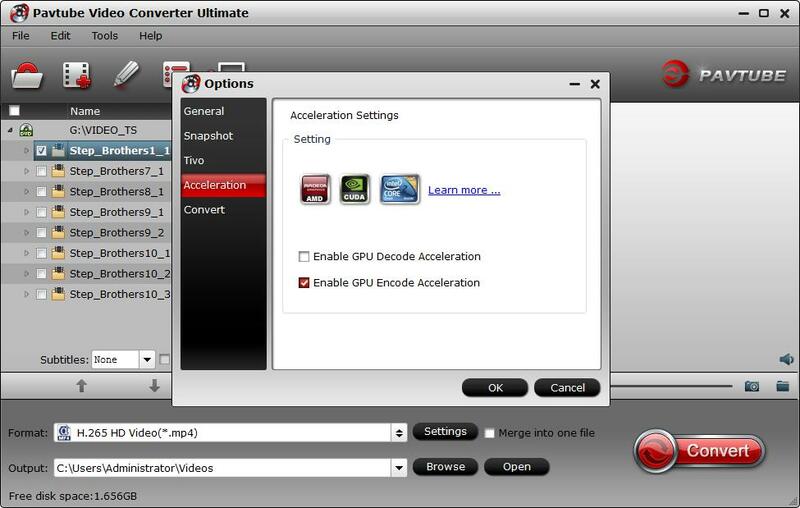 Click "Tools" > "Options", in the opened "Options" window, click "Acceleration" menu, then check "Enable GPU Encode Acceleration" otpion so that the program will accelerate converion speed when encoding video/Blu-ray/DVD to H.265/HEVC codec. 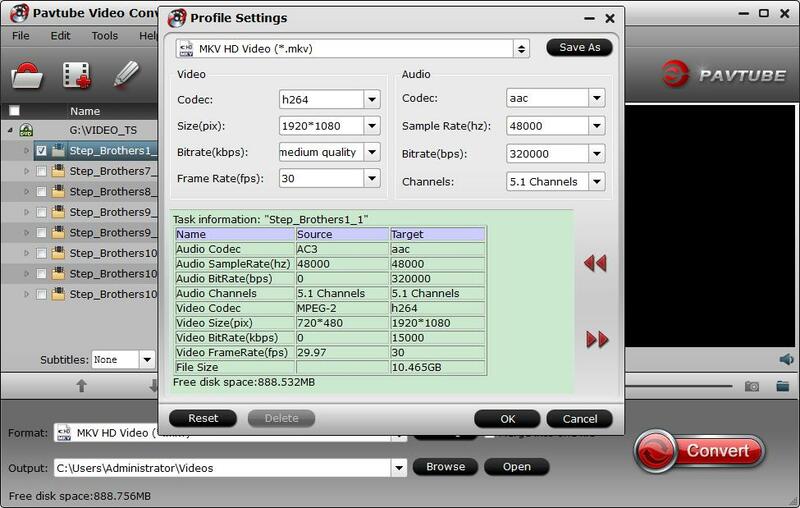 Step 3: Output H.265 MP4 or MKV format. 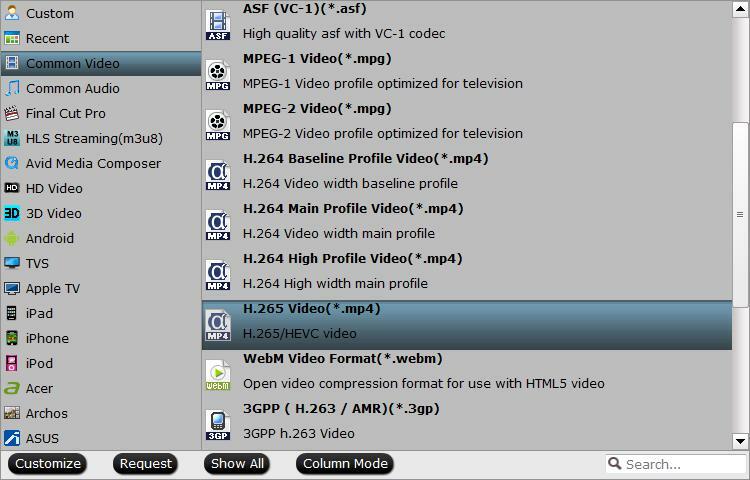 For outputting H.265 MKV format, select "HD Video" > "MKV HD Video(*.mp4)" to output, then hit "Settings" on the main interface to open "Profile Settings" window, under Video settings panel, click "Codec" drop-down selection, choose "H.265" as your final output file codec. Step 5: Begin the H.265/HECV codec encoding process. 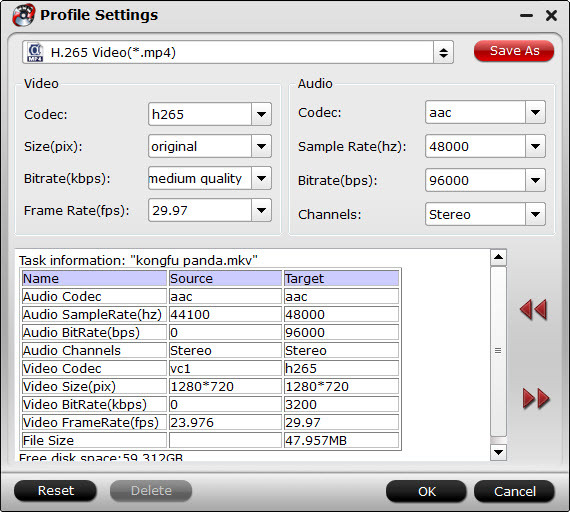 After all settings is completed, hit right-bottom "Convert" button to begin the conversion from video/Blu-ray/DVD to H.265/HEVC encoding process. When the conversion is completed, you will get a perfect quality H.265/HEVC file with smaller file size for smoothly viewing and streaming on different devices. Hot Search: How to Rip 4K Blu-ray to H.265 MKV Utilizing CUDA on Windows?